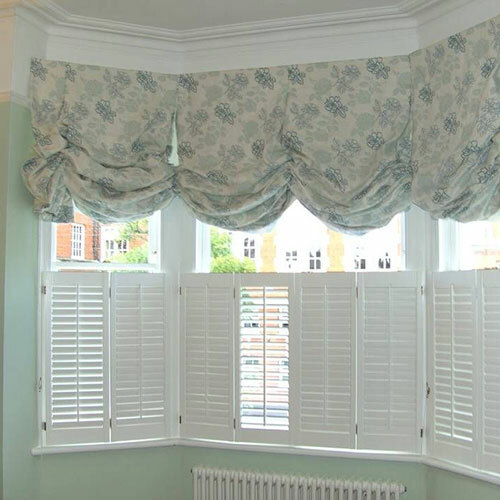 There are 3 main styles of fabric blinds - Roman, Austrian and London. Each giving a different look and style from the simple modern look of the roman to the more classic, traditional look of an Austrian Blind. Fabric blinds are great as they are a softer look than roller blinds or venetian's and you can make them from just about any fabric, allowing you to match to existing decor. 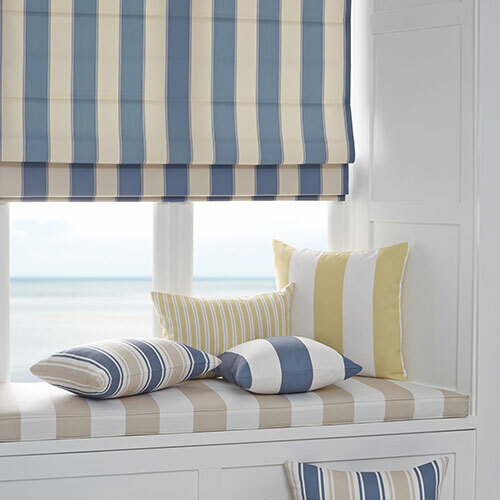 There are also many other details you can add to fabric blinds to make them more individual. They are usually fitted on the outside of the window frame giving you much better coverage for both warmth and insulation as well as giving a great light block. Fabric blinds fitted outside the frame with a good lining are an excellent choice when thinking of insulation for your home. 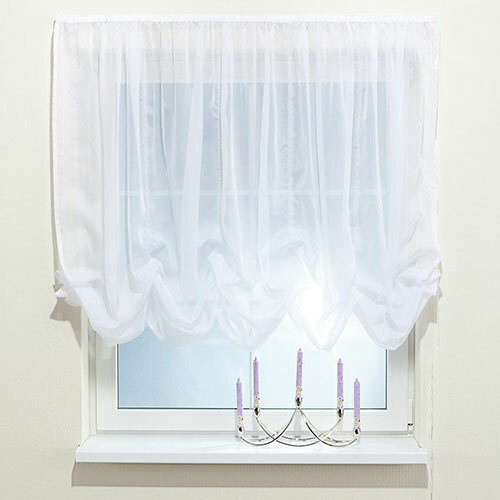 Roman blinds are a lovely simple blind working well on short windows as well as on larger windows where you require a nice simple window treatment. 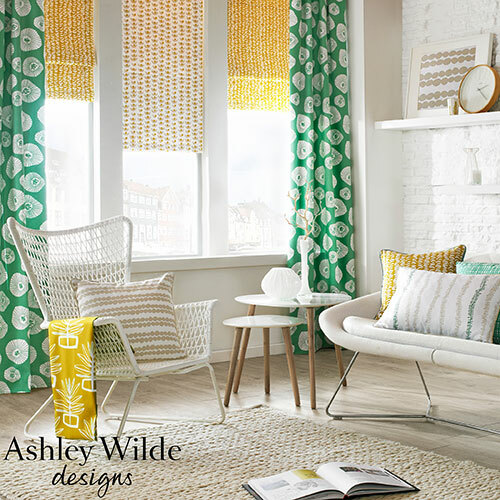 They give a warmer, softer look than standard roller blinds or venetian's and you have the ability to choose which ever fabric you like, so that way you can match them in with your drapes or other elements in the room. They fold up nice and flat at the top and you can have a choice of the waterfall stack - the folds when stacked up are slightly longer than the one in front creating a layered look. The other option is to have the straight stack which is each layer stacked together at the top so when looking from the front you only really see the first fold. 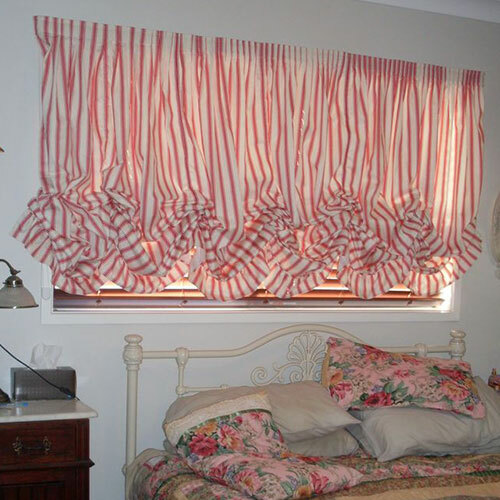 You can also have your blinds banded with a different fabric creating a more interesting look. As well there are options to have the pintucks for each fold hidden behind, protruding in front or if you have a patterned fabric you can choose to have the tuck separate to the main fabric so the pattern remains uninterrupted. Roman blinds can be used as a single window treatment or teamed with curtains, valances or pelmets to give a layered look. We also have the latest blind technology available, we have a chain drive system that we can put into your roman blinds so instead of the traditional pull cords the blind is pulled up and down on a simple chain system. The same sort of system used in roller blinds. 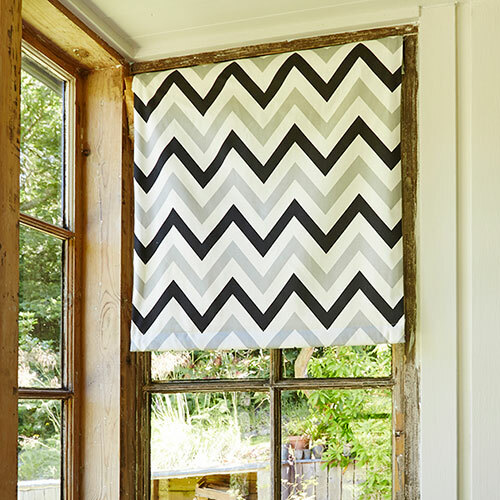 This works great if your blinds are particularly large or heavy as there is more ease in pulling it up and is recommended if you are doing particularly large blinds. We also have all the components for making a roman blind yourself and we have copies of making instructions too if you would like to give it a go. 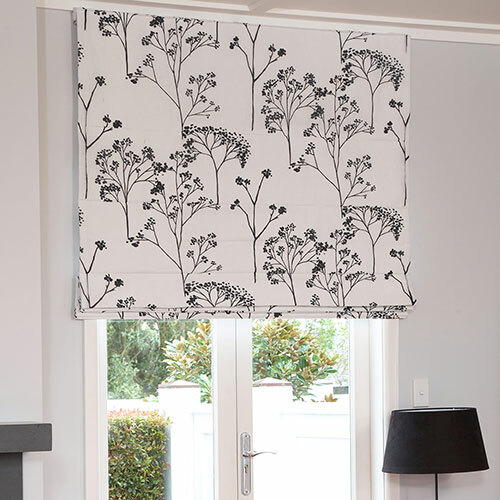 London blinds are a lovely twist on the standard Roman Blind. They sit in between the Roman and the Austrian. Having a nice ‘swag’ at the bottom they give a softer appearance than the standard flat roman but aren't as full and traditional looking as the Austrian blinds. Again London blinds can be used as a single window treatment or teamed with curtains, valances or pelmets to give a layered look. You can band these blinds too, adding another detail to the simple structure. Or maybe you would like it piped on the joins, or a frill on the very bottom? Why not add some ribbons or bows where the swag is pulled up? 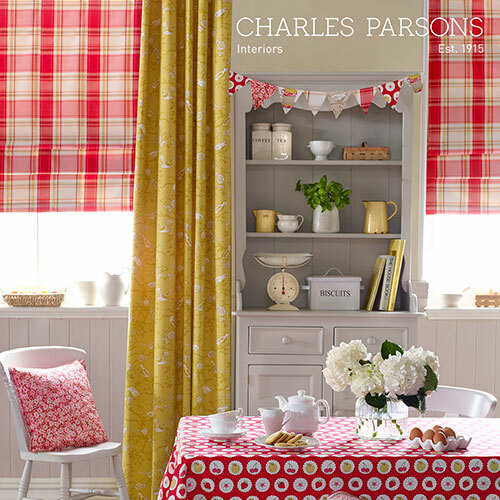 There are many details you can add to a London blind (or any fabric blind) to add to the overall appearance. 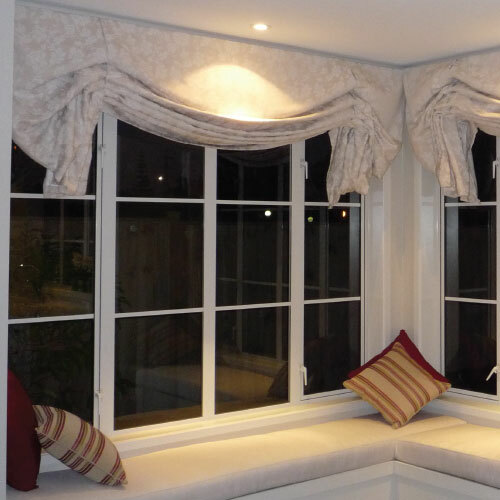 London blinds can be made with sheer fabrics to create a really soft floaty look or can be made with solid fabric, lined or unlined. You also have a choice in how big or small you would like the ‘swag’ at the bottom. They are best made in light to medium weight fabrics, as because there is a slight bunching at the bottom they do not work so well with thick fabrics or fabrics that have a thick or heavy coating on them. A slightly different version of the blind, which is really closer to a curtain, is the Austrian blind. Austrian blinds are a classic style of window covering combining the fullness and drape of a curtain with the practicality of a blind. They have a pencil pleat heading at the top and then the bottom is ruched into several scalloped segments. The pull cord in Austrian blinds raises the blind and ruches the fabric, giving a billowing effect. Austrian blinds are generally made up in lightweight curtain fabrics, they will hang well and exclude more light if they are lined, however a thermal or blockout coated fabric may be too thick and stiff to ruche up well so is not recommended. 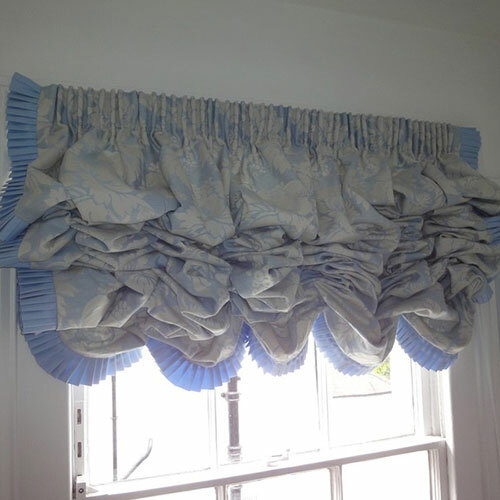 They can be hung inside or outside the window recess and can have a frill along the edges for an extra detail. 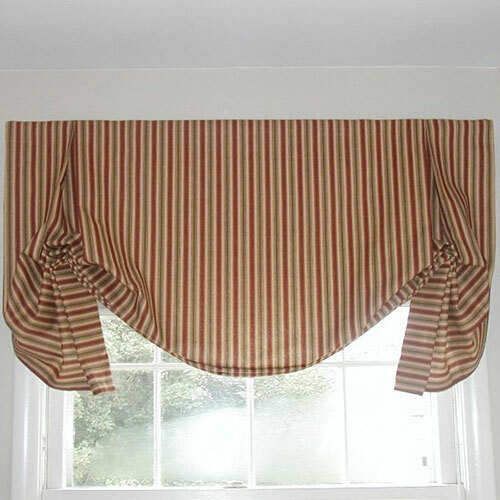 If the blind is hung inside the recess however it looks better with a frill added to the bottom edge only. This style of blind looks great in country style homes and more older traditional homes and villas. They can also be made with nets, voiles or sheers for use in bathrooms or kitchens, giving privacy but not reducing too much light. 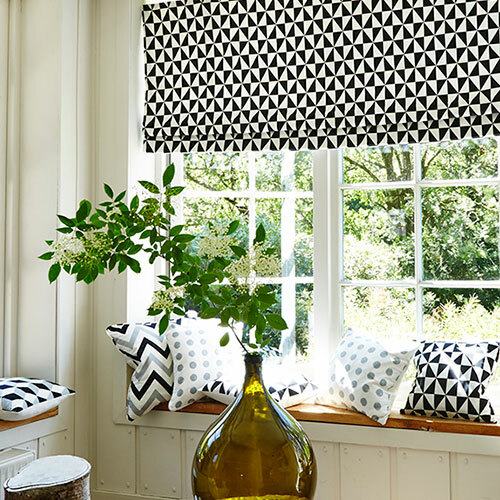 You can also use them with drapes or swags to create a more layered look.